Whether you’re looking to rent a truck, bus, car, bakkie or 4x4, Kempston Truck Hire has a vehicle for you. With branches in Johannesburg, Cape Town, Durban, Port Elizabeth, East London, Richards Bay, George, and Bloemfontein, our countrywide network is here to support you wherever you are. Let us help you move your load. The Right Truck Hire Company for You! The right truck for the job. The foundation stone of the Kempston Group; Kempston Truck Hire was established in 1973, making it one of the longest standing operators in the truck rental industry. 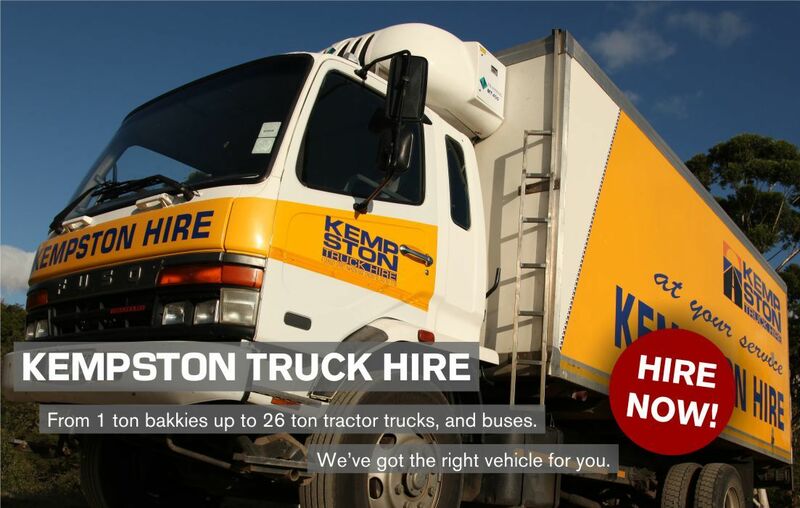 Kempston Truck Hire has a large fleet, operating out of eight branches countrywide. We offer a variety of flexible truck hire solutions, ranging in duration from 24 hours to 24 months, to meet our clients’ diverse transport requirements. 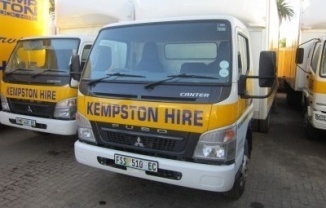 Kempton Truck Hire’s fleet includes a range of passenger vehicles, 1 ton bakkies, 8-22 seater buses, 3-8 ton trucks (including curtainside / enclosed / dropside / tail lift / fridge), truck tractors and trailers, with a focus on availability to meet our clients operating needs. Being very versatile to suit our customer’s industry-specific trucking specifications, at Kempston Truck Hire we are able to modify our commercial vehicles to supply all industries including the fast-paced food, film and retail industries as well as mining and agriculture to name a few. As a value add for our clients Kempston Truck Hire can also provide qualified and certified drivers with the trucks to ensure your goods being transported will be in good hands. We provide a 24 Hour Toll-Free Emergency-Line: 0800 430 430. With the support of our own in-house Vehicle Theft and Recovery team, you can be confident that your precious cargo will be transported as expected. Furthermore, our Fleet Division and their workshops in every region give comfort that all mechanical issues that may be experienced will be dealt with promptly, making Kempston Truck Hire a leader in the truck hire industry. From bakkies to buses, we have the right vehicle for you.